Fired FBI director James Comey told Attorney General Jeff Sessions that he did not want to be left alone with the president, US media report. It is one of a slew of allegations relating to Donald Trump and an investigation into alleged Russian involvement in the 2016 US election. 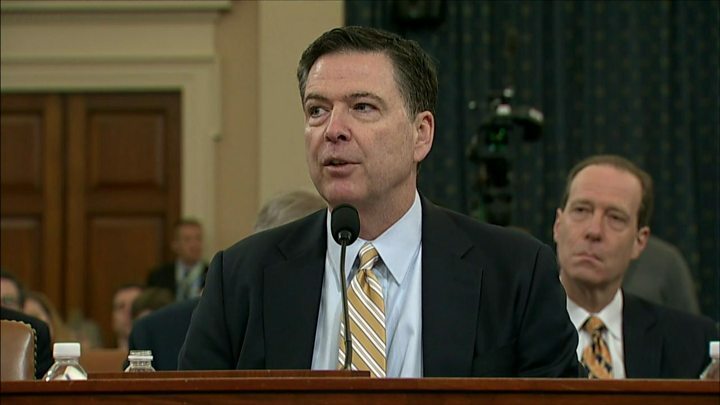 It comes ahead of the former FBI chief's testimony to the Senate on Thursday. "I wish him luck," Mr Trump said of Mr Comey, as he met with Republicans. Separately, Mr Sessions himself has offered to resign, reports said. The relationship between the attorney general and the president has grown increasingly tense since Mr Sessions recused himself from any involvement in the Russia investigation, articles in the Washington Post, the New York Times, and Politico said. Mr Trump has refused the resignation offer, they reported. Mr Comey's testimony to the Senate Intelligence Committee is set to grip Washington, as he is likely to be asked about his private discussions with Mr Trump regarding the investigation and his campaign, and the former national security adviser, Michael Flynn. 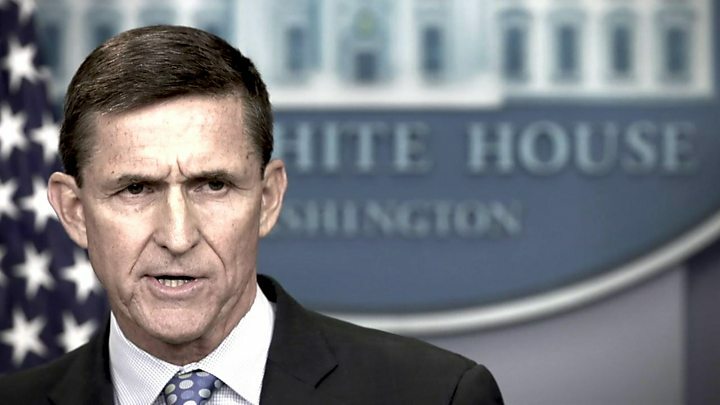 In another report likely to raise tensions at the White House, the Washington Post says Mr Trump had asked Dan Coats, his Director of National Intelligence, to try to persuade the FBI to back off their investigation into Mr Flynn. Mr Coats himself gave evidence to the committee on Wednesday. The claim that Mr Comey told Mr Sessions he did not want to be left alone again with the president was published by the New York Times and the Associated Press. The conversation occurred the day after the president asked Mr Comey to end the investigation into Mr Flynn during a private dinner, the NYT said. Mr Comey believed the attorney general should protect the FBI from White House influence, officials told the paper. The White House shocked Washington by announcing on 9 May that Mr Comey "has been terminated and removed from office". It was only the second time the head of the FBI had been dismissed. While the White House said Mr Comey's handling of the inquiry into defeated Democratic presidential candidate Hillary Clinton's emails was the reason for his dismissal, Mr Trump has subsequently said Mr Comey "wasn't doing a good job" and was "a showboat". Did Trump fire Comey as part of a cover-up? Mr Comey's testimony on Capitol Hill on Thursday will be his first public comments since he was ignominiously pushed from office. White House press secretary Sean Spicer said the president would have a "very, very busy day" on Thursday. There has been speculation that Mr Trump would offer a live commentary on Mr Comey's testimony via Twitter. Hillary Clinton email probe - what was it about?